Below are the Baby Bar pass/fail rates created from the California State Bar’s website. These are the available statistics from 2007-2008. As can be seen, the pass rates for the Law Office Study Program prove the FYLSX is statistically far more difficult than the General bar Exam. The First Year Law Student’s Exam is Harder than the Real Bar Exam? Statistically, it’s way harder. I am an expert on the subject of reading for the law because I became a lawyer with no undergrad or law degree on the California State Bar Law Office Study Program. (“LOSP”). Because I am an expert, and think Kanye is a legit dude, I wanted to offer a few words of encouragement to this couple in their task. Yes, if Kim is going to get through this, she is going to need the emotional support of her husband. You see, if she was single, she could spend the hours needed at the library and attending private tutoring necessary to pass the First Year Law Student’s Exam (“Baby Bar”). Being married makes it a lot harder to “do you” as they say. In order to pass the Baby Bar, she has to become selfish with her time. She will have to be a lot like a warrior monk. Kim Kardashian West needs the understanding and emotional support of Kanye to get through this Herculean task. Lucky for her, Kanye marches to the beat of his own drummer, just like her. My goal is to see that she passes the Baby and the Bar. Because if she does, she will encourage a whole new generation of free thinkers to become lawyers. 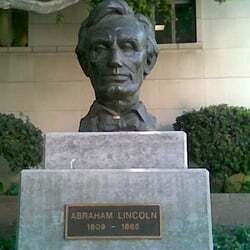 In many ways, it would be so awesome to return to the Abraham Lincoln method. Don’t Listen to Em Kim! During my time on the Law Office Study Program, I was told by people with college degrees that I’d never pass the bar, let alone make any money. “How is a disabled Marine with no college gonna be a lawyer?” Lucky for me, my family and my new wife were very supportive. So I had my base! You can do it Kim! If I did it, so can you. Passed the General Bar Exam with no law degree. Became a Certified Law Student and co-chaired 3 jury trials. Befriended and studied under some of the most prominent lawyers in the country. xterned for a prominent appellate justice at the Court of Appeal. 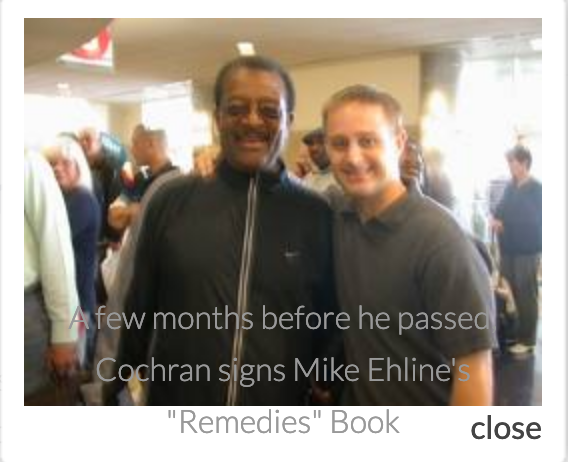 I even hung out with Kardashian-West’s late father’s co-counsel, Johnny Cochran at LAX. Johnny even signed my ” In a Nutshell “Remedies” book. And to nail my detractors’ coffins shut, I became a highly successful personal injury and criminal defense lawyer. Now I run a successful law firm, volunteer time to consumer advocacy groups, assist disabled veterans in finding employment, and help teach less fortunate people how to pass the bar as a professor. How’s that Kim? You can do it! Yesterday I wanted to blog about Kim Kardashian West’s new task. I was just too busy handling clients all day. You know, those clients all the college types said I would never have unless I went to college? Anyways, she sent shockwaves through both the legal and entertainment worlds yesterday by announcing her study towards the California bar. 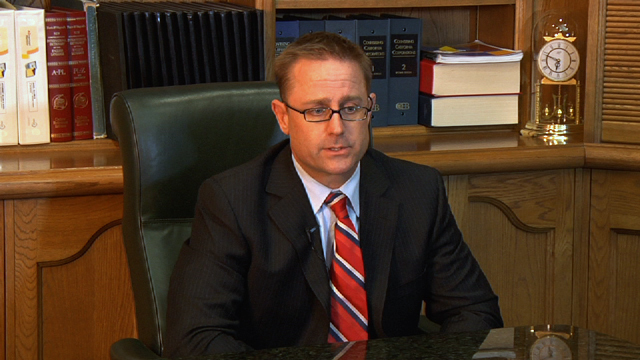 The reality star turned advocate plans a bar exam try in 2022 according to CNN. Kardashian West benefits from a unique advantage in California’s legal licensing that allows individuals to take the bar exam should they meet several requirements. This path of reading the law is a time tested and trusted method towards becoming a Golden State attorney. The star announced her plan during an interview with Vogue Magazine. Kardashian is studying as an apprentice towards the bar exam. With four years of law apprenticeship she can take the exam. She believes that her efforts improve the existing pushes for legal reform. Her high profile partnership with President Trump is gaining significant traction both in the laws of the nation but also in the public eye. Go Kanye! The interesting turn of events also highlights the importance of reading the law as a means to become an attorney. Once a popular practice that allowed Andrew Jackson and Abraham Lincoln to become attorneys, California is one of only a handful of states that still use the revered tactic. Such a path to the bar is a valuable insight to why attorneys that study for the bar before achieving their JD are often more successful. Kardashian said that she is interested in becoming an attorney as a means to help wrongfully imprisoned individuals. Having worked on Habeus Corpus Petitions while reading for the law, I wholeheartedly support her in this goal. Many prisoners cannot afford a great lawyer. Kim’s celebrity could help guys like me raise money to still feed our kids and work on these tough cases! Such a noble goal has already paid dividends. Through her advocacy, President Trump aided several wrongfully convicted people. The highest profile case was that of Alice Marie Johnson, as the New York Times reported. Kanye West also aided Trump and Kardashian’s efforts, representing a major step towards criminal justice reform. In fact, President Trump named April 2019 the First Step Act month, as reported by FoxNews. Such a laudable effort highlights the President’s work with Congress to build a 21st century criminal justice system. Such an effort between the White House and prominent entertainment figures is already a great success. Kardashian West and Kanye West’s alliance with President Trump may go down in legal history as a major accomplishment and start of a great trend towards fairer jurisprudence. Considering Kim’s family history with the law the sky is the limit. Her father was a high profile criminal defense attorney. Kanye West is nearly legendary for his art and support of President Trump. Star power and now legal power fused into one for a cause larger than themselves. Passing the bar is just one part of such a triumph. After all, considering the amazing work already accomplished over the last several years, by 2022 far more is on Kim K’s plate. But passing the bar is not her mission. The mainstream press didn’t really discuss what she is facing. The Baby Bar has a much lower pas rate than the Bar. So it requires special help. How Can Kim Pass the Baby Bar With no Law School? It’s no walk in the park. When I took the Baby Bar, it had less than an 18% pass rate compared to the Bar’s 48% or so at the time. The Baby Bar is composed of contracts, torts and criminal law. PMBR CD roms, especially the series on contracts and criminal law. In addition to studying under a lawyer who teaches her real-world solutions to real-world problems, she needs an excellent Baby Bar teacher. Paul Pfau will help Kim develop a system to study for, and pass this problem-solving speed exam. His issue clustering outlines and other materials are only part of it though. He is also a life coach. He is exactly what you need when it seems the whole world is against you. I hope this helped. If anyone is interested in attending one of my live video seminars or listening to a LOSP podcast, reach out to me at Ehline Law Firm, Personal Injury Attorneys, APLC. There are lawyers who may not get the respect they deserve, who have taken advantage of the law-office study program to become a legal professional, even though this is how lawyers were trained. This is not only a study program; the national trends raise the bar and particularly for reading the law there is specific expectations that must be adhered. In almost every state the lawyers are regulated by the Supreme Court, rather than an executive branch of the state government like other professions. This places the state’s attorneys in a precarious position. States like California and Vermont have the self-made attorney benefits of the law-office study program, but it is believed by state regulators that this is not a benefit that is likely to be taken advantage of in all states or catch on, even by those looking for a second career. Other states tend to believe that standardized training is the better choice for the legal professional. In states that permit the individual to train in the law study programs do not seem to have any downturn in this type of program where it is not taken advantage of by people who want to train as an attorney. One of the reasons that this type of program training still exists, according to some Board of Bar Examiners is simply a matter of economic diversity, even though they feel that requiring law school training could be a appealing thought. They realize in the end that for some individuals who want to practice law, it would not be possible financially for them to attend law school and that they work hard to accomplish their goal. This means for now and the near future law office training will remain a constant in the states that permit it. Without the alternative training for lawyers, many people who make exceptional attorneys would never be able to practice law without having this kind of advantage for training. Anyone who is working their way through this type of program to train as a lawyer when accomplishing their goal will stand in a class of men who helped shape America and the legal system.